Two months ago BBC Radio 4 promoted a Gaza Strip related story but failed to provide its listeners with the background necessary for them to put British surgeon David Nott’s account into its correct context, thereby potentially misleading BBC audiences. On August 2nd the BBC World Service repeated the exercise when David Nott was again interviewed by Jo Fidgen on the radio programme ‘Outlook’. After discussing Nott’s experiences in Sarajevo, Fidgen turned to the subject of Gaza (from 07:08 here). Indeed military attacks on medical facilities have been making the headlines in recent months – but in countries such as Syria, Yemen and Afghanistan rather than in the Gaza Strip. Nevertheless, with Fidgen having created the linkage, Nott just had to take up the cue. 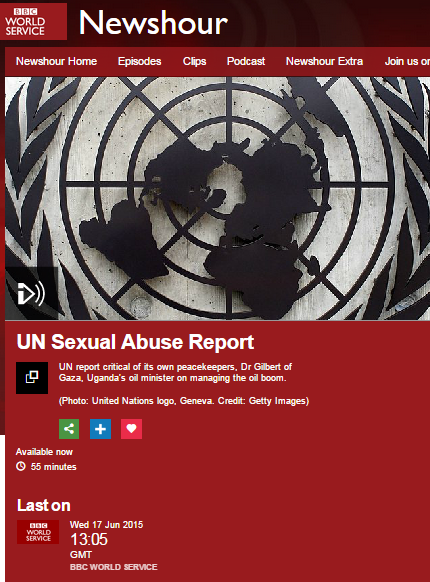 There is of course no evidence to show that health-workers and doctors in the Gaza Strip were not protected by the applicable laws and conventions during the 2014 conflict between Israel and Hamas but while Nott did not specifically say there is, he immediately went on to repeat the story he previously told on BBC Radio 4, with a few minor differences. “And in Gaza I was there working for the International Committee of the Red Cross this time and…err…I was on the top floor operating on a young child in fact who was about seven years of age…[…] I was preparing her for the operation and suddenly somebody came up to me – one of the Red Cross security people – and said ‘David, we have to leave the hospital because the hospital is going to get targeted’. I said ‘what do you mean the hospital is going to’…’well it’s going to get blown up; we don’t know by whom but the message is that we need to get out now otherwise, you know, we’re not going to make it’. 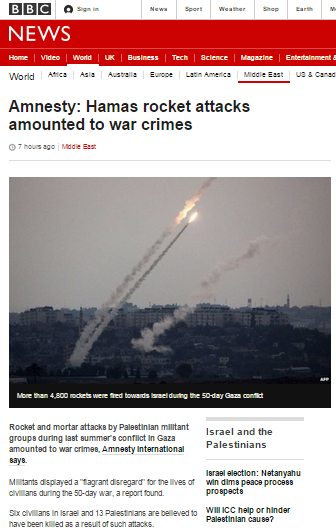 During the 2014 conflict between Israel and Hamas the BBC repeatedly amplified false claims that Israel had attacked medical facilities without due cause and it has since failed to clarify or correct the inaccuracies which appeared in numerous reports. The fact that the corporation has showcased David Nott’s story twice in two months – in both cases omitting information which would have prevented audiences from being misled – does nothing to enhance the impression that the BBC’s approach to this topic is rooted in a commitment to accurate and impartial reporting. Rather, it suggests that the corporation is more interested in perpetuating a myth. The June 10th edition of the BBC Radio 4 programme ‘Desert Island Discs’, presented by Kirsty Young, featured British surgeon David Nott who, in addition to his regular work, volunteers with Médecins Sans Frontières and the International Committee of the Red Cross. Listeners then heard the following story (from 23:09 here). So what would uninformed listeners have taken away from that segment of the programme? Obviously many would have been left with the impression that Israel was the party expected to ‘blow up’ the working hospital and that the fact no strike took place on that occasion was a matter of luck. From a previous interview given by Nott we can ascertain that the hospital concerned is Shifa hospital and that the date of that particular experience was August 1st 2014. On that day a UN brokered 72-hour ceasefire was supposed to come into effect but Hamas breached it after an hour and a half with an attack on Israeli soldiers decommissioning one of its cross-border tunnels in the Rafah area in the south of the Gaza Strip. Whether or not Mr Nott asked his hosts at Shifa hospital why the secure underground operating theatre located in the bunker underneath that facility was not placed at his disposal is unclear. Had he done so, he would have been able to tell BBC audiences that most probably the reason that his colleagues assumed that the hospital was going to be bombed on August 1st 2014 was because Hamas was using the space beneath his feet as a command centre and refuge – and him as a human shield. If Kirsty Young had provided that context to Radio 4 listeners, their take-away impressions of this story would of course have been more accurate. 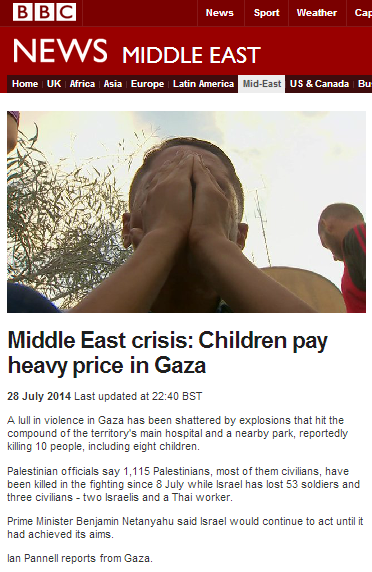 On January 13th BBC Trending produced an article titled “Gaza medics back striking English junior doctors” which appeared on the BBC News website – including in the Middle East page’s ‘features’ section. ….images of three young men in white coats in a Middle Eastern hospital stood out. Shifa Hospital is of course not just “the main hospital in Gaza”; like other medical institutions in the Gaza Strip it is exploited by Hamas for non-medical purposes which include acting as a hide-out for Hamas’ top brass during conflicts. As has been documented here on numerous occasions in the past, medical staff at Shifa and other Gaza hospitals are not always as objective as may be presumed. 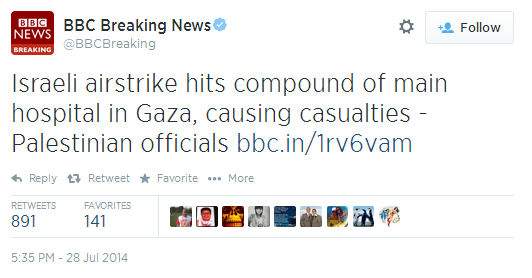 So who exactly is the “recently graduated doctor from Gaza” that BBC Trending found fit to promote? David Collier took a closer look at his social media activities. “In fact, you cannot put this man’s name into Google without realising there is a little more to it than meets the eye. 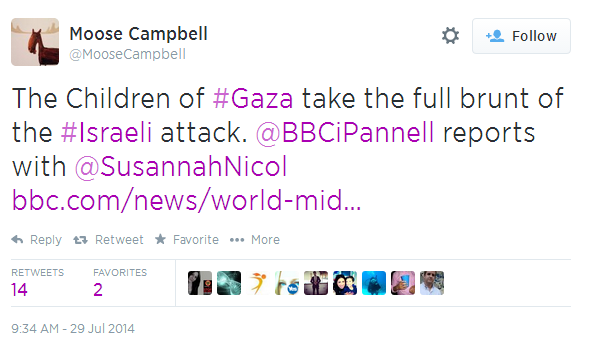 And then you ask yourself, ‘don’t BBC reporters do this as part of basic guidelines’? Isn’t it obvious? Read the rest of that very revealing post here.